Gas turbine is a modern manufacturing "power source", which is a high-temperature blade is one of the core components of gas turbine. Recently, the Shanghai Municipal Science and technology major special project "superalloy blade manufacturing technology research" acceptance by experts. Gas turbine is a large passenger aircraft, ship (heavy carrier) is one of the main power source and the civil power in areas such as high temperature, turbine blade and its manufacturing technology is the core of gas turbine, the main bottleneck is restricting Chinas gas turbine development. This is strictly confidential, objectively make Chinas large aircraft, ground gas turbine and other major projects are heteronomy. In 2008 the Shanghai Municipal Science and Technology Commission set up a major research project, aiming at the international most advanced level F 256MW heavy-duty gas turbine high temperature blade to carry out technology research and research, by the Shanghai Univer to assume. 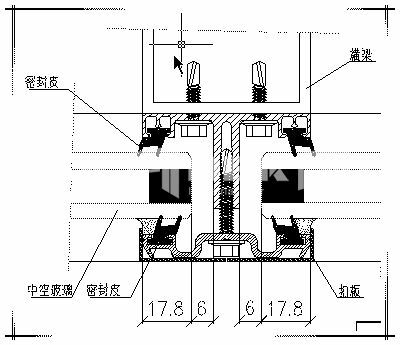 Principle of turbine blade, the nickel metal solution cast in a mould, and then cooling crystallization, similar to the process of winter cooled vapor crystallization in glass forming "ice". Turbine blade can bear high temperature, have sufficient strength, and the process of crystallization temperature and quantity, crystal formation and direction have a relationship. In general, the fewer the number of blades of grain, high temperature resistance and better, more capable of generator gas turbine high power equipment use. At present, the industrys most difficult technique, is to make the whole leaves became a grain, namely "crystal" technology. In addition, if grain orderly arranged in one direction, but also can improve the strength of blade, avoid the fracture, such as "directional" technology. Through 4 years of efforts, group breakthroughs are in the two route of technology, formed its own unique process route. The success of the project, not only helps to blockade of the key components of gas turbine breaking foreign in China, for the domestic power plant is a major positive news. With a heavy duty gas turbine turbine as an example, a total of 96 pieces of high temperature alloy blades, if the use of foreign products, the manufacturing cost of a vane in 400000 yuan, the market price of 1000000 yuan; but if the use of domestic blades, manufacturing cost is only the price of foreign 1/4. China will complete the first conventional powered aircraft carrier in 2015 (drainage volume in the 5-6 million tons) of the construction work, the first nuclear-powered aircraft carrier is expected to be launched in 2020.